Come one, come all - it's time for And finally, the place where we collect some of the week's more intriguing rumours and lighter stories. It's been another busy week in the world of wearable tech. We've seen strong links to suggest a Wear OS Samsung smartwatch could be landing later this year, TicWatch unveiled new watches with an interesting new feature while Martian Watches sadly had to close its doors. But for everything else you may have missed, check out the below and head to our dedicated news section to catch up on the rest. 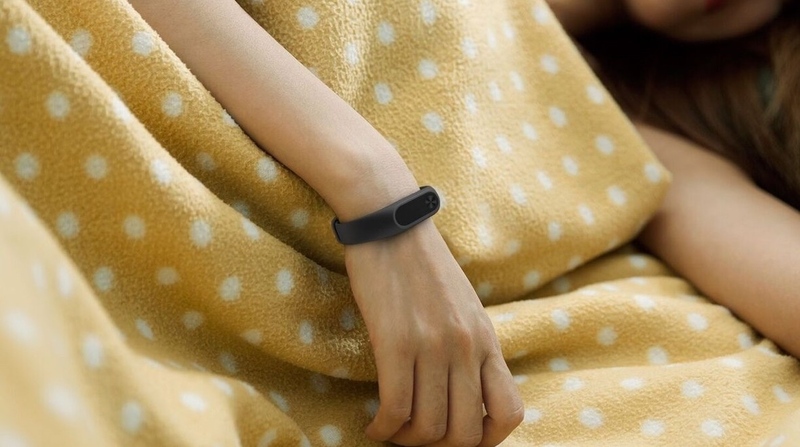 We've seen plenty of Xiaomi Mi Band 3 leaks and rumors over the past couple of months - like this tease from Xiaomi itself and this leaked tutorial - and now what appears to be the manual for the fitness tracker has surfaced, courtesy of the folks at ITHome. As with its predecessors, the manual for the Band 3 comes in Chinese, showing us that the fitness tracker is removable and can be inserted into the strap, similar to the Mi Band 2. Unlike the company's last tracker, though, the screen for the Band 3 looks much more rounded, and the manual appears to suggest it will support gestures. In truth, there's little to go off with regard to actual features from the manual. However, it does bolster claims that the wearable's unveiling is imminent, which we explore a bit deeper just below. So, the hints would suggest we're getting close to an official look at the Xiaomi Mi Band 3, right? Well, we've already heard from the company that the next generation band will be launching before the end of the year. And now the poster for Xiaomi's Mi 8 launch event on 31 May could hint at the Band 3's actual announcement. Well, that's if you buy the breakdowns floating around the web, suggesting the Chinese giant has gone into Da Vinci Code levels of hidden secrets in its poster design. The poster looks like it's simply showing off a skyline but at much closer inspection inside some of the buildings are what appear to be hints towards the new devices that will be shown off. Way in the distance is what looks like a very Mi Band-like shape tucked into the top of the building. Xiaomi's Mi 8 phone event is being held in Shenzhen on 31 May so there's not long to find out if the Mi Band 3 is turning up. Wearables with sleep tracking capabilities are helping engage users in improving sleep health, but none has been proven accurate or validated to screen for sleep disorders, the American Academy of Sleep Medicine has outlined. Consumer devices and apps can help patients initially understand their sleep concerns and spur conversations with doctors, the team notes in the Journal of Clinical Sleep Medicine. However, they warn that they haven't been rigorously tested for accuracy against the professional equipment in sleep clinics, and they can't replace a medical evaluation. Fresh research shown at the European Congress on Obesity (ECO) has shown that the daily use of a nasal device, which reduces the wearer's smelling ability can induce weight loss. Affecting those aged 50 and under, the device is also able to inflect changes to dietary preferences, and is set to launch commercially in June. When it does, it will be sold under the name NozNoz as a wellness device, with additional medical research planned to support its clinical use in the future.